Dr. Tzyh Jong Tarn received the D.Sc. degree in control system engineering from Washington University, St. Louis, MO, in 1968. 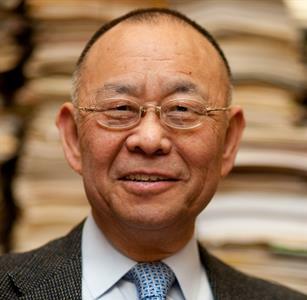 He is currently a Senior Professor in the Department of Electrical and Systems Engineering at Washington University in St. Louis and Professor and Director of the Center for Quantum Information Science and Technology, Tsinghua University, Beijing. He has also held visiting positions at Imperial College, England; the Rome University, Italy; Nagoya . University, Japan; the Ecole Nationale Superieure de Mecanique, France, and the Academy of Science, USSR. He has published over 300 papers, including over 100 papers on dynamic modeling and control of robotic systems and more than 200 papers in control theory and its applications to quantum mechanical systems. Dr. Tarn received the NASA Certificate of Recognition for the creative development of a technical innovation on "Robot Arm Dynamic Control by Computer" in 1987. The Japan Foundation for the Promotion of Advanced Automation Technology presented him with the Best Research Article Award in March, 1994. He also received the Best Paper Award at the 1995 IEEE/RSJ International Conference on Intelligent Robots and Systems, and the Distinguished Member Award from the IEEE Control Systems Society in 1996. He is the first recipient of both the Nakamura Prize (in recognition and appreciation of his contribution to the advancement of the technology on intelligent robots and systems over a decade) at the 10th Anniversary of IROS in Grenoble, France, 1997 and the Ford Motor Company best paper award at the Japan/USA Symposium on Flexible Automation, Otsu, Japan, 1998. In addition, he is the recipient of the prestigious Joseph F. Engelberger Award of the Robotic Industries Association in 1999 for contributing to the advancement of the science of robotics, the Auto Soft Lifetime Achievement Award in 2000 in recognition of his pioneering and outstanding contributions to the fields of Robotics and Automation and the Pioneer in Robotics and Automation Award in 2003 from the IEEE Robotics and Automation Society for his technical contribution in developing and implementing nonlinear feedback control concepts for robotics and automation. In 2010 he received the Einstein Chair Professorship Award from the Chinese Academy of Sciences and the John R. Ragazzini Award from the American Automatic Control Council. He was featured in the Special Report on Engineering of the 1998 Best Graduate School issue of US News and World Report and his research accomplishments were reported recently in the “Washington Times”, Washington D.C., the “Financial Times”, London, “Le Monde”, Paris, and the “Chicago Sun-Times”, Chicago, etc. Dr. Tarn is a Fellow of IEEE and IFAC. Tzyh-Jong Tarn research interest is in Integrated hybrid system for planning and control of concurrent task in manufacturing system, internet-based remote teleoperation, fusion of human and machine intelligence, nonholonomic analysis and control for underactuated underwater robotic vehicles, control of quantum-mechanical systems, quantum nondemolition estimation: theoretical foundation for quantum sensors.